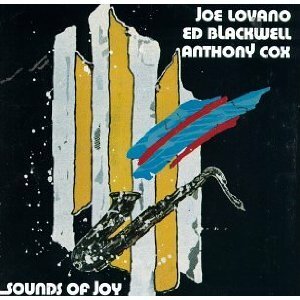 This was not only my first trio recording as a leader, but the first time I played with the great Ed Blackwell. I wrote all the tunes for the session with Blackwell in mind, because he’s been a great inspiration through the years. Blackwell’s sound, touch, ideas, execution and personality all came through when he played. He was an amazing improviser and always created a very complete dialogue with you. The the title, Sounds of Joy, is what I felt from Blackwell from all the music I heard him play through the years. Strength and Courage I wrote for him because that was his essence. He endured many years of kidney problems. In fact, he was one of the longest surviving dialysis patients, pioneering a technique where you could travel and do the procedure at different hospitals on the road. I played with Blackwell for two years, when we recorded this, and my first gig at the Village Vanguard. Like me, Anthony Cox, the bassist, was playing with John Scofield’s group at the time.